Get ready for an alternate film history full of explosions, ninjas, alien invaders, break-dancing, and plenty of jiggle and muscle-flexing! 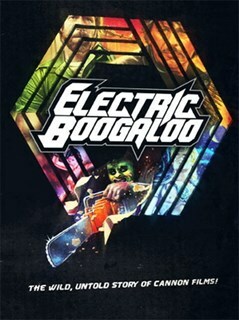 ELECTRIC BOOGALOO: THE WILD, UNTOLD STORY OF CANNON FILMS centres on the story of two movie-obsessed immigrant cousins, Menahem Golan and Yoram Globus, who in pursuit of the ‘American dream’ launched an indie studio that would produce over 120 exploitation films from 1979 – 1989. No one could have anticipated just how close these two outsiders would get in nearly taking over both Hollywood and the UK film industry. Their passion for cinema changed the way movies were made and marketed. Ultimately this passion would come between them and the company they built together. This is a one-of-a-kind story about two-of-a-kind men who (for better or worse) changed film forever.